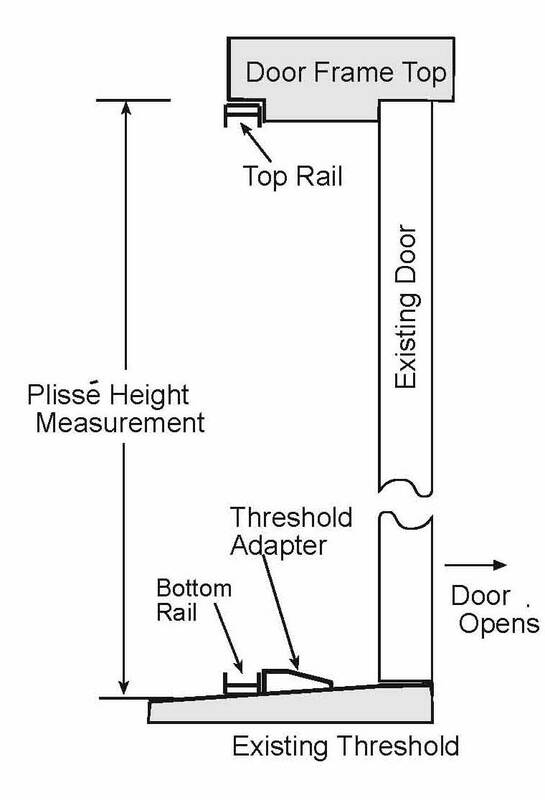 Home » How To Plisse » Do I Need a Threshold Adapter? 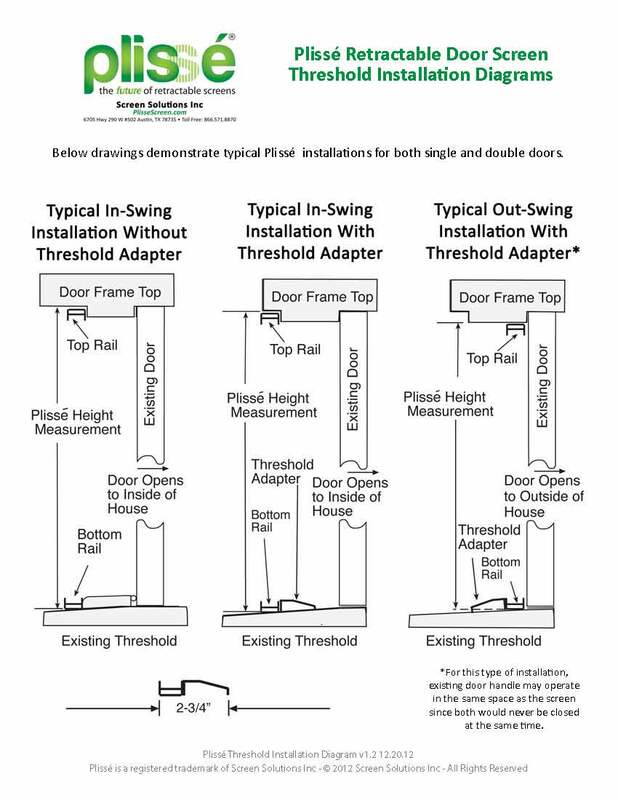 Do I Need a Threshold Adapter? Many of our customers are unclear as to whether or not they need to purchase the optional threshold adapter with their new Plisse retractable door screen. There is some basic information that can be helpful in deciding but we hope we’ve made it clear that we are always happy to help if you just aren’t sure. Feel free to send me an email with photos of your doorway and threshold along with some basic measurements. With just this little bit of information I can advise you to the best installation for your opening as well as if any optional adapters could be useful. 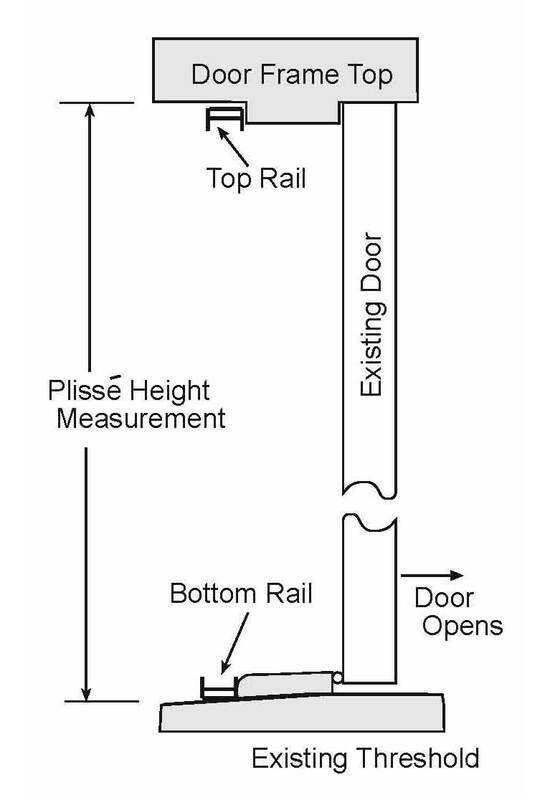 If the rail will sit on top of the existing threshold we recommend installing a threshold adapter (as shown in the drawing below). I was reading some of the information on your website but I still have a few questions. The pleated type screen fabric is novel but do you have to push it into the side channel for full opening? Does the fabric bunch up and become unmanageable? Another issue that concerns me is can small (or large) animals (such as mice or the neighbors cat or a raccoon) just push under the screen and gain access to the house? Thanks for your interest in our Plisse retractable door screens for your home. Our pleated fabric retractable screens operate very much the same way a pleated shade for your windows would inside your home. The fabric is produced in a special environment that creates a very reliable, even and long lasting memory in the pleats of the fabric. You don’t need to fuss with the fabric at all – it simply operates as necessary with the handle being pulled across the opening and then folds neatly away as you retract the handle back to the hinge side of your door when not needed. If an animal really wants to get past the screen, it will not keep them out the same way an actual door would but the tension can be adjusted so that it is very difficult for any small animal to push the screen open. We also offer tension line hooks that many people utilize along the bottom tension line of the screen, hooked into the bottom rail, to keep their household pets inside. I guess you could use those to keep other people’s pets outside just as well. Is it possible to put sun screen in the retractable mechanism? I live in AZ and would love to have a retractable sunscreen door. Thank you for your interest in our Plisse retractable screens for your home in Arizona. We do not currently have the option to put different fabrics in our Plisse screens but the fabric that comes standard does cut about 30% of UV sun rays. I hope you won’t hesitate to contact us should you have any other questions. Do you different colors to match existing door colors i.e. Tans, Beiges, Browns? Let me know. Where are these screens made? We offer six standard colors, four more additional special order colors and can custom color match almost any finish. See our full color options here. Our retractable screens are custom built for your opening in our Austin, Texas facility of parts sourced from America and abroad.